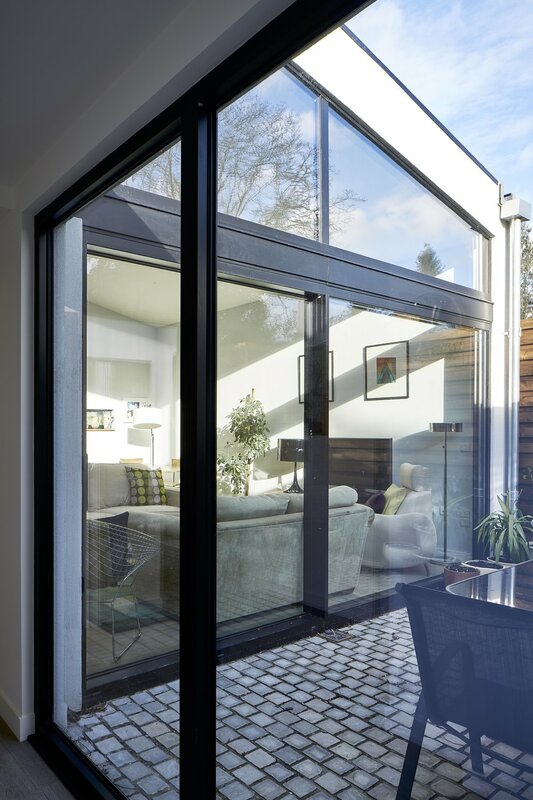 Built on the site of two former garages, Modern Courtyard is a prefabricated house that was erected on site in just one day, despite having taken over a year to achieve planning permission. The design responds to the enclosed and overlooked site; double height spaces, open plan living and two private courtyards provide generous space and light, defying both the size and location of the site. 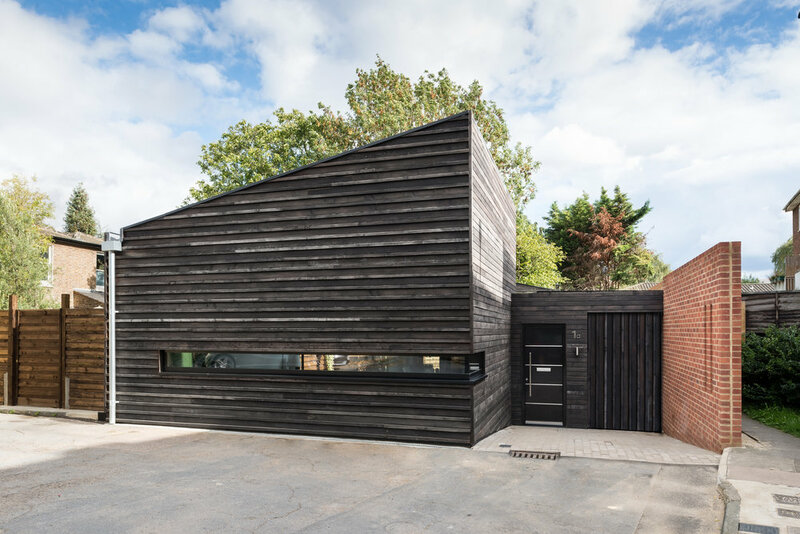 The industrial massing references the existing buildings and is clad in Shou Sugi Ban charred timber, which gives a striking yet modest appearance from the street. 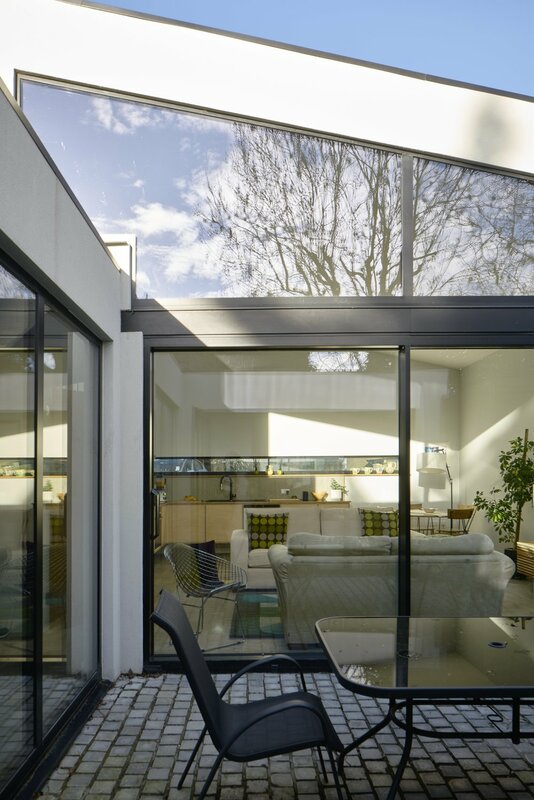 The house was entirely built off-site using Structural Insulated Panels, allowing the programme, quality and budget to be easily controlled, whilst reducing waste and minimising disruption to the neighbouring properties. After an intensive groundworks programme, the modules were delivered to site and assembled in one day. The prefabrication went as far to include all utilities, glazing, kitchen, bathrooms and second fix elements, meaning that very little was left to do on site. 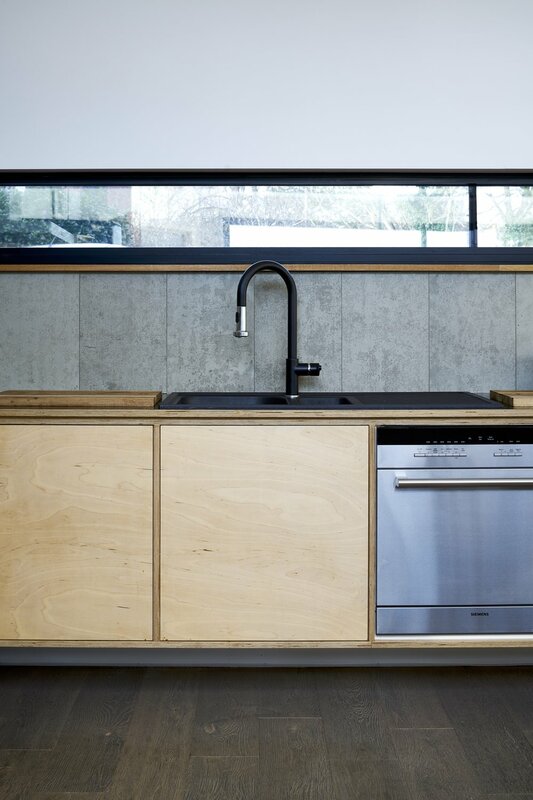 As well as being accessible and built to Lifetime Homes, the house was designed with Passivhaus principals in mind. The house is well insulated, with U-value for elements as low as 0.12W/m2K and the offsite construction achieved an air tightness of 2.46m3/hr, four times better than Building Regulations. 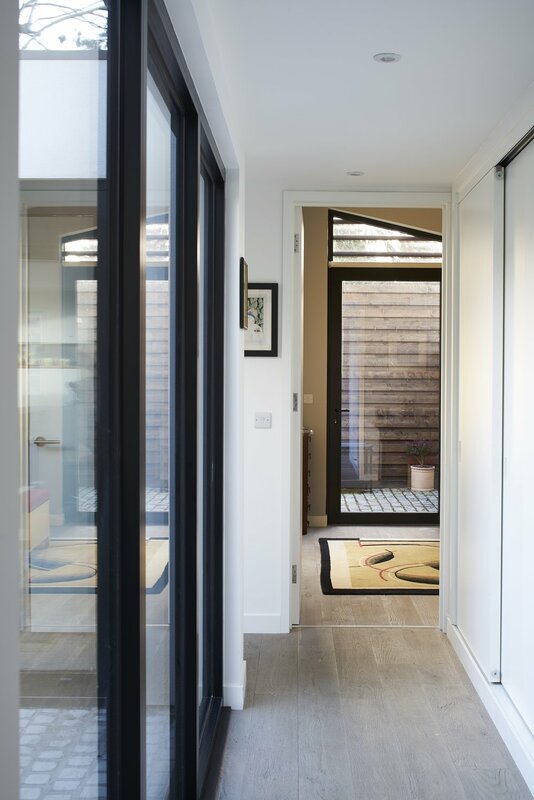 The internal courtyards maximise solar gain, naturally heating the house and cross ventilation throughout allows the building to be naturally ventilated. Water usage was also carefully calculated so not as to be excessive.